Trump's Promised Defense Buildup and Congress: Who Will Blink First? WASHINGTON — For President-elect Donald Trump to make good on a multibillion-dollar campaign promise to expand the military with more ships, jets and troops, something has got to give. Will it be GOP fiscal hawks fighting to balance the federal budget or Democrats who want parity for defense and non-defense spending? So far, lawmakers are hunkered down in familiar camps. Or will it be Trump? 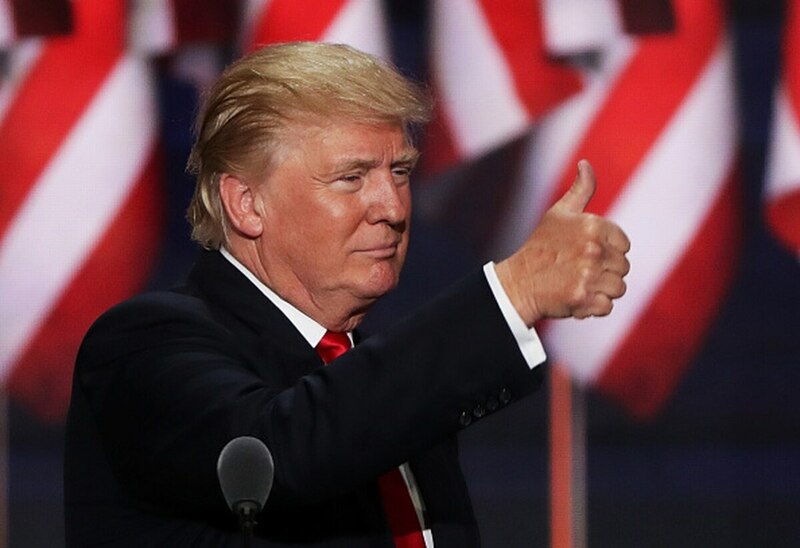 The ultimate Washington outsider, Trump has yet to name the defense secretary who might quarterback such an expansion, and Trump has already backtracked on several key campaign positions. So it remains to be seen whether he will stick to his guns and, well, buy more guns. "We're going to have to see what were campaign promises and what were real promises. How much will Trump push these issues that will cut against the core beliefs of his own party?" said defense budget analyst Todd Harrison, of the Center for Strategic and International Studies. "You run huge deficits if you try to do all of his campaign promises. No amount of economic growth would overcome that." During the campaign, Trump offered plans to cut taxes, rebuild infrastructure and expand the military, all while refusing to cut Medicare or Social Security benefits. The Tax Foundation predicted those plans would yield a debt increase of between $4.4 and $5.9 trillion — which, if true, would likely fuel a revolt within the GOP. "How are you going to pay for it," said North Carolina Republican Rep. Walter Jones, a House Armed Services Committee member and co-chair of the House Military Depot and Industrial Facilities Caucus. "Just spending, spending and spending? At some point it negatively impacts our military because we can't pay our bills," Jones said. Trump's plans for the first 100 days include "eliminating the defense sequester." Democrats have vowed to continue to fight for parity between the defense and non-defense sides of the budget, so if Trump seeks a repeal of solely the defense side of the Budget Control Act (BCA) and its multiyear caps, he can expect a quarrel. "Democrats are going to fight for what we've always fought for, which is parity between defense and non-defense," said Washington state Democratic Sen. Patty Murray, recently elected the Senate's No. 3 Democrat. "This campaign doesn't change any of that. That's our belief." Senate Armed Service Committee member Claire McCaskill, D-Mo., slyly hinted there could be a compromise with Trump's defense plan on one side and his infrastructure plan — which is already getting pushback from GOP lawmakers — on the other. 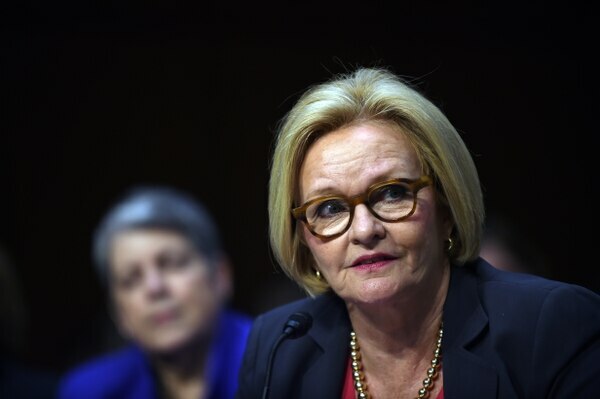 Claire McCaskill, D-Mo., seemed to relish the schism in the GOP that Trump's infrastructure plans might create: "I'm going to grab me a Diet Coke and put butter on the popcorn. I can't imagine how they reconcile this." "I don't know if he's put a spell on them, or they've all changed their minds, but it's his first priority, so it will be interesting to see how his Republican colleagues react," McCaskill said of the infrastructure plan. "The question is: How does he get that through all the people who have been lecturing us and hectoring us that we can't afford any domestic spending?" McCaskill seemed to relish the schism in the GOP that Trump's infrastructure plans might create. "I'm going to grab me a Diet Coke and put butter on the popcorn. I can't imagine how they reconcile this," she said. Trump's proposed military buildup features an active-duty Army of 540,000 soldiers, a Navy of 350 ships, an Air Force fleet of 1,200 fighter aircraft and a Marine Corps with 36 battalions. He has also pledged a "state-of-the-art missile defense system" to modernize the Navy's cruisers and to provide ballistic missile defense capabilities. The conservative American Enterprise Institute's Mackenzie Eaglen and the Marilyn Ware Center's Rick Berger estimate that the Obama administration's defense plan is already $113 billion above BCA caps and that Trump's plan would require another $100 billion over four years. The Center for Strategic and International Studies projects the buildup would cost $80 billion, a 15 percent increase unlikely to land in one year, said Harrison. That hews closely to the top line of then-Defense Secretary Robert Gates' 2012 defense budget request, proposed before budget caps were enacted, and National Defense Panel recommendations. "It won't be $80 billion all at once, since [the Department of Defense] couldn't execute all of that one year if they tried," Harrison said. "They could be looking at annual budget growth of 6 percent a year, above inflation." To get there, Congress would either have to repeal the budget caps, revise them upward or shift money into the emergency Overseas Contingency Operations account, which is exempt from the caps — all politically charged options. Congress has been employing a combination of the latter two, and Harrison predicted the GOP's fiscal hawks would not go along with a full repeal of the BCA. Rather than pursuing repeal for the defense side of the BCA, the GOP could seek to replace the dual caps for defense and non-defense discretionary spending with a single cap for all discretionary spending. That means if more is spent on defense, less would go to the non-defense side — a scenario likely to rile Democrats. This option could prove popular, however, with Republicans who argue national security takes precedence and should not be funded at the expense of non-defense. Asked about Trump's proposals for defense and infrastructure spending and the prospects of deepening the deficit, House Appropriation Defense Subcommittee Chairman Rodney Frelinghuysen suggested a bipartisan solution weighted toward defense. "I think we ought to be more concerned about the war against ISIS and terror, and how we meet that," said Frelinghuysen, R-N.J., using an acronym for the Islamic State group. "With the Republican leadership, the Democratic leadership, we need to come together and address that." 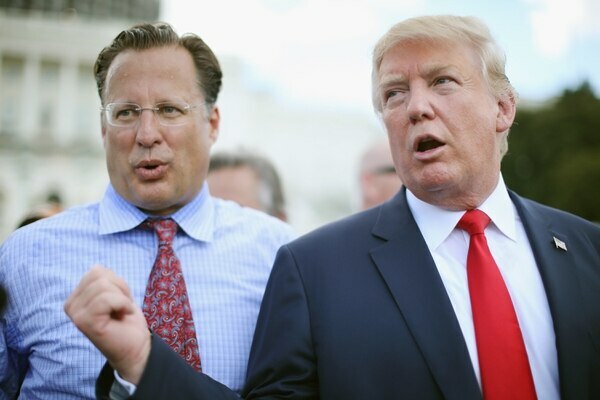 Rep. Dave Brat, R-Va., says Republicans will not relax opposition to deficit spending for party unity's sake. Rep. Tom Cole, R-Okla., an influential House appropriator, predicted defense spending will enjoy mostly bipartisan support in Congress and the White House. Though Trump on the campaign trail rejected cutting benefits and Democrats would push back​, Cole suggested entitlement reform and repeal of President Barack Obama's health care law, the Affordable Care Act (ACA). While popular with Republicans, its an unlikely path, according to Harrison, since the ACA was designed to be deficit neutral. So will Congress repeal the provisions that generates revenue? "If they take them out, it will actually cost money to repeal it," Harrison said. Rep. Martha McSally, an HASC member and retired Air Force colonel, was supportive of Trump's promised buildup, citing the military's readiness crisis and global threats that have been a mainstay of hawkish arguments for DoD budget increases. "Quantity has a quality of its own," McSally, R-Ariz., said. "We have to be fiscally responsible, but giving the troops what they need is something that everyone can agree is the government's responsibility." Asked how the government would pay for a massive military buildup, some members of the House Freedom Caucus leaned heavily on a component of Trump's tax plan that calls for overseas investments to be repatriated. In essence, its a proposed corporate tax holiday to incentivize corporations to bring those investments back at a low tax rate. While the Republican conference expressed support for "a robust military" as a core value of the GOP conference, House Freedom Caucus co-founder Mark Meadows, R-N.C., said he would not support new deficit spending to pay for it. Meadows suggested the repatriations would make it unnecessary and touted an estimate that repatriation would return $2.4 trillion in taxable income to the US and fuel a 4.5 percent GDP growth. "When you start looking at those kinds of numbers, you see an unbelievable growth pattern," Meadows said. House Freedom Caucus member Dave Brat, R-Va., similarly said he was onboard with the "trillion or two" from repatriation paying for infrastructure and defense spending. Republicans, he said, would not relax opposition to deficit spending for party unity's sake. "Other things should give," Brat insisted. "You have to offset it, you don't do more deficit spending when you're already in a catastrophe." Freedom Caucus and HASC member Mo Brooks, R-Ala., said he could not vote for a defense hike tied to increased borrowing. He prefers it be paid for with spending cuts to "lesser priorities" like foreign aid and welfare programs. Worried over "America's risk of suffering though a debilitating insolvency and bankruptcy," Brooks said he would not vote to ease budget caps or repeal the BCA. Yet he questioned whether fiscal conservatives will be able to muster the votes, like his, to enforce financial responsibility on the federal government. "In the past, we have not had the kind of numbers necessary," he said. Democrats have had cover in recent years from a Democratic president as they stalled defense appropriations bills to negotiate for the non-defense side of the budget. Their new strategy under a President Trump is an open question. They have also exploited rifts in the GOP, cutting compromise deals with its leaders to pass legislation when fiscal hawks would not supply the votes. HASC member Rep. Susan Davis, D-Calif., indicated the GOP has suggested it could happen again. "It depends on where the votes are and if [Republicans] need us or not, and if they need us. [But] there's not a lot of leverage" to get increased non-defense spending, Davis said. "Republicans don't want to shut down the rest of government. I don't think seniors will want that." Several Democrats were dismissive of Trump's campaign rhetoric and wanted to see first what plans he would unveil from the White House before they discuss plans to protect non-defense spending. One, House Armed Services Committee's top Democrat Adam Smith, of Washington state, argued in a Nov. 18 C-SPAN interview that Trump's ambitious defense plans, taken with his tax cuts and infrastructure spending, were meaningless. "Understand the very clear campaign promises Donald Trump has made — well, inconsistent would be a charitable way to put it, they're actually impossible to accomplish in the world we live in," Smith said. "Something's got to give. We have to wait and see what they actually propose."